Currently is in usage of Flash mass storage devices. 10 years old IDE interface works well with new Flash drives, but now we have simpler solution. PC software Drive Image is completed. Now can perform all operations from disk INIT, imaging to file transfer easy and comfortable, for all types of disk interfaces here. Schematic Programming reference - LBA mode Download new ROM - LBA, big sectors, for drives over 500MB. Download ROM - LBA for smaller drives. 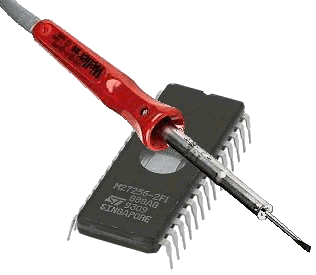 ROM source (LBA) Instructions and software for CF init. 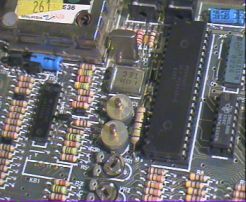 Demonstration AVI (5MB) - real Speccy video capture, not emu. Simpler interface - 8bit data transfer Download new ROM - LBA, big sectors of 1KB, for use of bigger drives up to 4GB. Download ROM - CHS. Today is probably much wiser to use some Flash drive instead classic hard disk. It consumes much less power, is very small, and prices are not big. 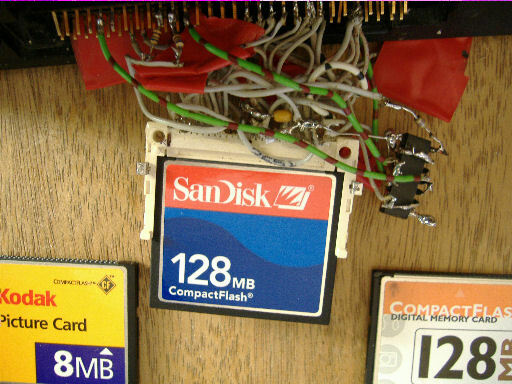 I tested above 16-bit IDE interface with Transcend's 128MB IDE-Flash drive (128MDOM40V). Current price is about 30 Euro, what is bigger than price of Compact Flash, but you don't need IDE-CF adapter. It works very well, measured read speed is around 150KB/sec, access time is under 1ms. For testing: All ROM versions and HDF images for them with 3 prgs. ZX: Read hard drive parameters (CHS, size) Copy from one hard disk to other Disk initialization Binary data packer (compressor) Tape to hard disk copier Hard disk usage statistic StartPack - 6 MB rar archive - image for 128MB disks - many games, some utils. PC: (USB) Drive image & ZX file transfer util. Instructions, screenshots Updated! 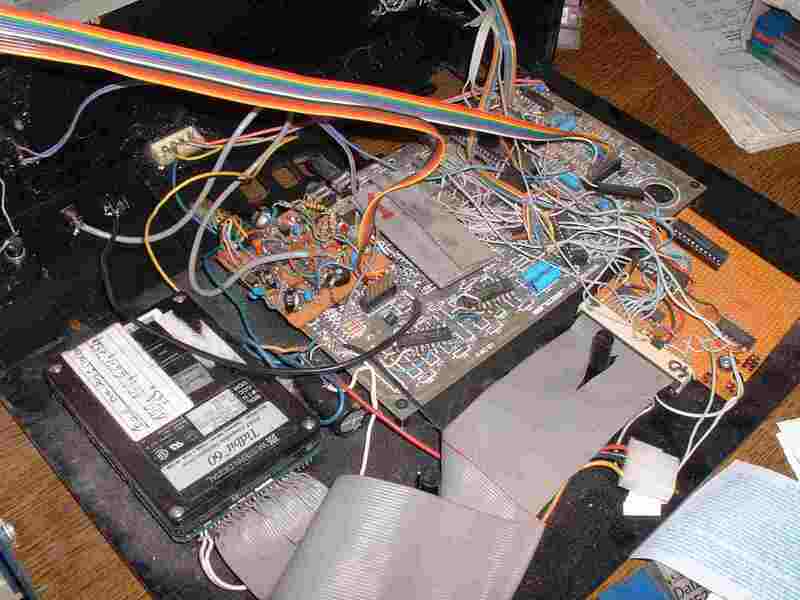 Floppy imaging prg with ZX floppy data transfer. 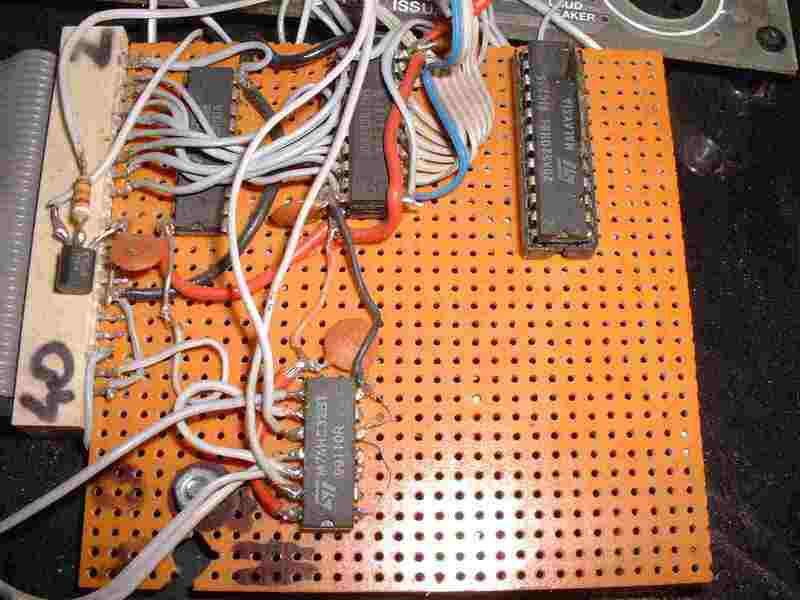 ST: From floppy or disk image to TAP, Z80. Port addresses for interfaces and peripherals. Waste of bits. This is not list of port addresses by popular peripherals/interfaces. 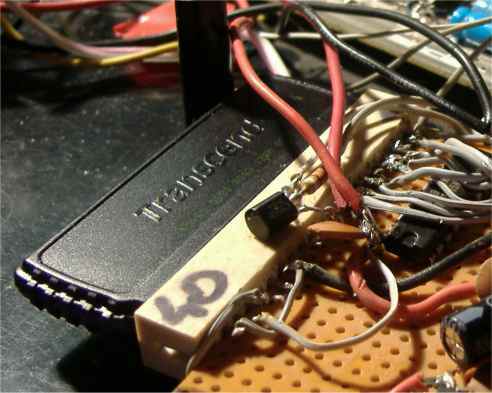 I try giving here some explanations of used systems, and how to design address decoders, and using which addresses. Spectrum emulators for PC site - tests of various Spectrum emulators. The World of ZX-Spectrum - most popular Spectrum related site on WEB. Z80 CPU Official Support Page- many data about Z80. ATA ref. - ATA disk committee. ftp://ftp.nvg.unit.no/pub/spectrum/pics/circuit-diagrams/ - 48K scheme etc. The ZX Spectrum Technical Information Repository - site with circuit diagrams of Spectrums. http://www.expresspcb.com/ExpressPCBHtm/Resources.htm - here is free PCB design program for PC. Cool pictures: Sir Clive & T.Rex Issue4.jpg- 48K board in resolution of 1588x2549. File length is 800KB. Copyright: Pera Putnik. Last revised: Nov 3. 2006.